Read our job interview guide & advices for how to search jobs, answer interview questions, deal with interviewers, and more tips that help you to success in your career. Today's job market across the globe can only be described as dismal. Thousands of qualified individuals are searching for work and industry bosses are scared stiff of increasing their overheads by taking on fresh talent. It is imperative therefore that you take a look at what problems and stumbling blocks you may be presented with when searching for a job and more importantly how to overcome them. Jim Simpson wanted a production supervisor's job with Florida Ladder Corp., a Sarasota, Fla., manufacturer, but his interview with one of the company's executives was the most unpleasant he ever had. The senior manager began Mr. Simpson's meeting by leaning back in his chair, crossing one leg over the other and demanding in a bitter tone, "Tell me why I should hire you." We've all been in the midst of a sentence and suddenly forgotten what we were saying. Embarrassing and a little funny, right? Not when it happens during a job interview. Many candidates who suffer mental blocks and then flub their responses during interviews tend to beat themselves up afterwards. "What's wrong with me? Why couldn't I just answer the question?" Who would want to undermine his or her interview performance? Job candidates do it all the time. If you're inclined to sabotage your job interviews, follow these guidelines to make sure you fail. They'll guarantee you won't get the job you deserve. If your wish to sidestep these landmines, heed the advice that follows. Question: An interview I had about two weeks ago went well (or so I thought), and I sent a follow-up thank you and called the hiring manager a few times (no response). I don't want to seem like a pest, but is there anything else I can do? LIKE CLARK KENT, who ducked into a phone booth to transform into Superman, Stephane Lopez is a quick-change artist. Last summer, Mr. Lopez was covertly interviewing for another job while still working at a New York investment bank. The investment firm had adopted a casual dress code, which usually meant khakis and a polo shirt. But a suit and a tie were more appropriate for his job interviews. Keith O'Rourke of Reno, Nev., was concerned about the references he'd get from his last employer, a small start-up in the San Francisco Bay Area, where he did sales and operations management. "I reported to the [vice president] of finance and had a good relationship with her, but I had a personality conflict with the owner," he says. STOP! Don't answer that question! During practice and actual interviews and networking meetings, many job seekers are tensed and primed, ready to jump all over the questions they get. They eye the pitcher, praying for a high fastball across the center of the plate. Here it comes! Inwardly, the interviewee exults: "I've seen this question! I've rehearsed a smooth, punchy response...even outlined my talking points. To outside observers, Joyce K. Reynolds seemed at the top of her corporate career. She was senior vice president of marketing for Siegal & Gale, a New York City-based international communications firm and an affiliate of Saatchi & Saatchi, which, back in the 1980s, was one of the world's hottest ad agencies. The candidate's background, experience and education were exactly what the company wanted in a new executive vice president. "On paper, there was no better match," says Don Clark, a recruiter in Fort Worth, Texas. "But after interviewing him in person, we knew we'd have to keep looking." Keep in mind that your goal as a manager is to find the best person for the job and your company. If you set your sights on maintaining the highest good for everyone, instead of focusing on your own nervousness, you'll be in far better shape than you think. Remember that you know your stuff. 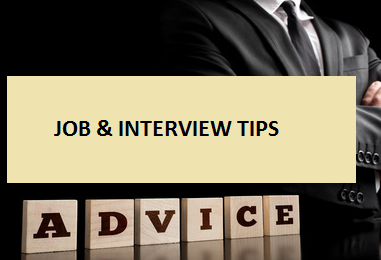 As a job seeker, you may see an interview as an interrogation or exchange of information. It's neither. Interviews are sales calls. And, as any sales pro knows, you only get the sale by asking for it. You aren't begging for a handout when you ask for a job. You're offering prospective employers your experience and ability to contribute to their goals. Every candidate has a nervous internal voice whispering this incantation before interviews. Whether seasoned or recently graduated, male or female, confident or terrified, we all hope potential employers will like us, even to the point of wanting a secret formula for developing rapport and achieving the elusive "fit." Perhaps not too long ago, your skills were in high demand, your company was growing fast, your stock portfolio was hitting new highs daily and your options promised wealth in the years ahead. Today, things may be different. You may find yourself in a sector that showed enormous promise, but now offers dramatically less opportunity, especially in a recession. If you're preparing to interview for a job, you must expect the unexpected. Long gone are the days when a single interviewer asked questions that simply expanded on your resume. Today, you might find yourself in an assessment center or interview with employees you'd work with if hired. Should you interview for a job that's beneath you? For most executives, there's no easy answer. While the decision should be based on your career goals, many candidates let emotional factors -- pride, greed or fear, for instance -- cloud their judgment. Know the time and place of the interview and the interviewer's full name and title. Ensure that you fully understand the job description of the position for which you are interviewing. Plan to be 15 minutes early in anticipation of traffic problems or other unanticipated delays. Also, know where you're going. If possible acquaint yourself with the route. Late arrival for a job interview is never excusable. Dress professionally (i.e. proper business attire). If presented with an application, fill it out neatly and completely. The flu is taking its toll on the hiring process around the country. Recruiters tell of interviews being cancelled, candidates showing up who would have been better off staying in bed and professionals altering their handshaking habits. You may recognize this scenario: not only have you heard about a perfect job, but the employer is a great company, one that's always being written up for its stellar management and benefits packages. Already you can see yourself in the position and your career going places. And you have not one, but a whole slew of interviews with top brass. You buy a new outfit and matching shoes for the occasion. Have you ever left a job interview feeling frustrated because you didn't sell yourself well? That's how Traci Moshman once felt. "It just isn't my personality to sell myself. That's not how I was raised," she says. While networking with contacts was a good learning experience, Ms. Moshman wasn't able to turn her meetings into job opportunities. Imagine you're being interviewed for a position as a product manager at a prestigious software company. Fortunately, you've done your homework. You researched the company, know the industry and are confident you'd be a good fit for the position. But instead of being asked to discuss these routine subjects, the hiring manager throws a curve and asks you to design a full-page newspaper ad about yourself, then show it to him. When an interviewer asked a systems engineer to "tell me about yourself," he felt well-prepared to answer. After all, he'd been a professional for more than two decades and could recite the ups and downs of his career in great detail. Perhaps too much detail. Many job hunters are poorly prepared to interview. They believe that since they're smart people who can think on their feet, they can "wing it" in interviews and still make a great impression on hiring managers. In most cases, they're wrong. Once you've created a brilliant cover-letter and resume package, the next step to securing a new position is impressing interviewers. Meeting with hiring managers is stressful, but you can improve your chances of scoring well by avoiding common, yet costly, interview mistakes. Mike Weldon, a project manager with 10 years? experience in telecommunications, was interviewing for a job as project director with a large cellular communications company in the Midwest. He felt confident and prepared for his meeting with Dan Crane, senior vice president of the engineering division, who immediately asked some tough questions. In the current employer's job market, rejection letters appear to have dried up like rain in the Sahara, and candidates are wondering why. Perhaps it's because overworked human-resources managers, knowing they have the upper hand, don't feel the need to respond to runners-up. Perhaps they simply don't have time. In order to be able working from home, the right facilities are essential. A well-adjusted desk and working PC are obvious here. But do not underestimate the importance of (digital) access to the required company data, so that you can work remotely with all the materials and data that are needed for this.